Happy Eurovision day, eurofans, and greetings from a sort of sunny Southport. In just a few hours it’ll be the culmination of the ESC2018 campaign. Who is going to win this year? Cyprus? Israel? Perhaps Ireland will challenge as it’s now one are the hot faves. I’d be happy with any of them, as well as Sweden, Germany and France. I just hope that the winning song is one that I like this year – and it would be good if it could be an international hit. As we have seen this year, lots of countries that we would normally expect to sail through to the final didn’t. This might in some way be influenced by a change in the way the professional juries vote. In previous years each member of the jury ranked all the songs from best to worst, and then they were ranked. This year they vote on every song, and then they are ranked. Confused? It’s probably had an impact. We’ll see when the vote breakdown is revealed after the conclusion of the Grand Final. This year I’m not ranking the final on the blog. I’ve told you my faves at the start of this post. One of these twenty-six songs will take the crown. As Wogan used to say, it’s the glorious unpredictability of it all that is part of the ESC’s charm – and why we tune in! I’ll be back for a final recap on Sunday, but in the meantime have an abba-solutely fabulous Eurovision tonight! So, that’s the second semi-final. I find it a duller affair than the first – as you have just read! Let’s see how the songs translate on the Eurovision stage on Thursday night. UK readers, that’s BBC Four at 8.00pm, or watch via the live stream at eurovision.tv. I will post my ‘napkin of death’ as I did on Tuesday night. See if we agree with each other – I don’t think I’m going to do very well on this one! Europe’s longest running television show is back on our screens this week as the good ship Eurovision Song Contest (ESC) sets sail on it’s 63rd voyage. 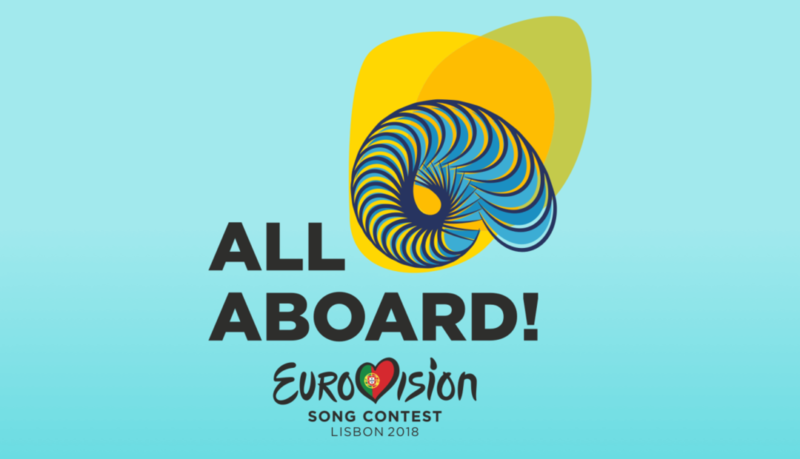 For regular viewers it’s the now familiar passage through two semi-finals (Tuesday 8 and Thursday 10 May) with each sending 10 songs to the Grand Final (Saturday 12 May), where they will be joined by the ‘Big Five’ and host country Portugal. Here in the UK it’s the hottest May Bank Holiday since this early Bank Holiday was introduced in 1978. Over in Portugal things are also hotting-up in Lisbon, the host city for this year’s ESC. After eight days of rehearsals Sunday evening saw the official launch of ESC2018, with the opening ceremony. All of the forty-three participating countries walked the ocean blue carpet – suitably tying in with the nautical and sea related theme for this year’s Contest “All Aboard”. I will try to not have too many sea/water/Portugal related puns. Oh, who am I kidding! Should you have wanted to, you could have watched the live stream from the blue carpet (well, you still can – via www.eurovision.tv). That would be three hours of your life that you will not get back! I dipped in (I can’t help myself!) at the end to see the UK’s SuRie being interviewed after she’d walked the blue carpet. She seems really nice and comfortable with the whole process. Mind you, it’s not her first time at the rodeo as she has previously been involved with two entries representing Belgium, both of which finished in a rather respectful fourth place. We need not think this bodes well for the UK entry this year – it doesn’t – but more on that in a later post. So here we go! I do have more of my Euro-mojo this year. Regular readers might remember that I just wasn’t digging Kyiv 2017. 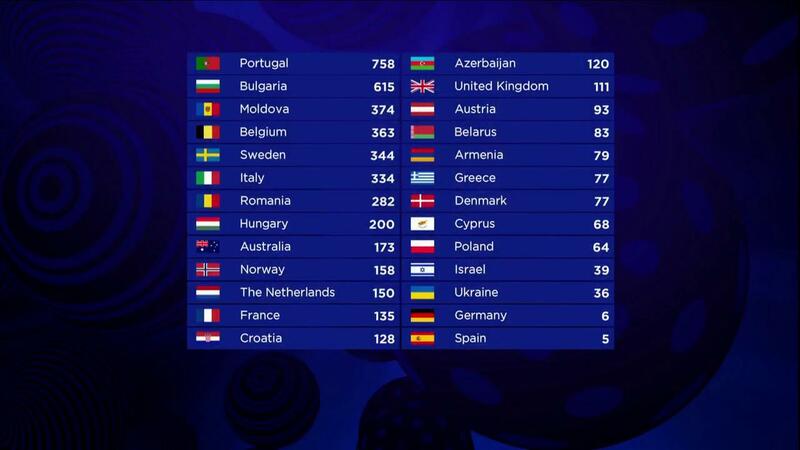 I just didn’t get the winning song from Portugal at all – and yet it was the biggest winner so far. Up next from me is a review of the songs in the first semi-final. See if you agree with me. Without the benefit of seeing full rehearsals (as I have done in the past), this year (like last year) the top ten predictions on my ‘napkin of death’ will be done during the broadcast, and I’ll pop them on the blog so you can compare them with your own.